Aluminum body sheds more than 500 lbs. Ford says that the original F-150 SVT Raptor was designed to demonstrate that off-roading can be even more fun than going fast around a racetrack. Now, with the redesigned 2017 Ford F-150 Raptor, the automaker has improved this recipe for fun. The new truck debuted at the 2015 North American International Auto Show (NAIAS) in Detroit and will go on sale in the fall of 2016. Built on a high-strength steel frame, the new Raptor's foundation is purpose-built specifically for this version of the F-150. Aluminum body panels drop the curb weight by more than 500 lbs., according to Ford, and the Raptor is 6 in. wider than a standard F-150. 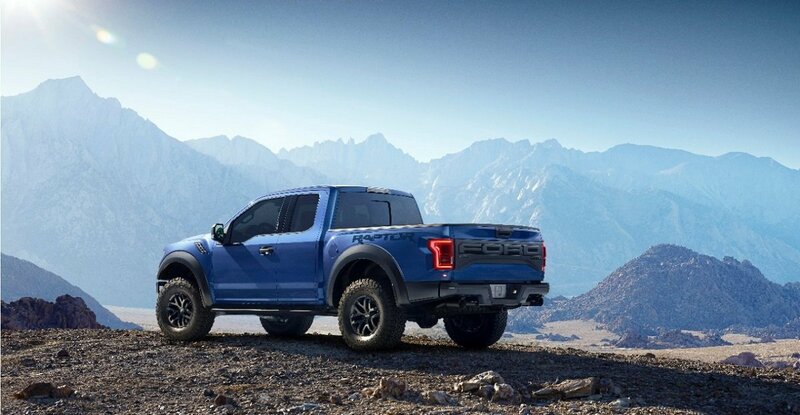 To ensure that the Raptor is not mistaken for any other version of the F-150, it gets unique styling appropriate for a dedicated off-road truck. 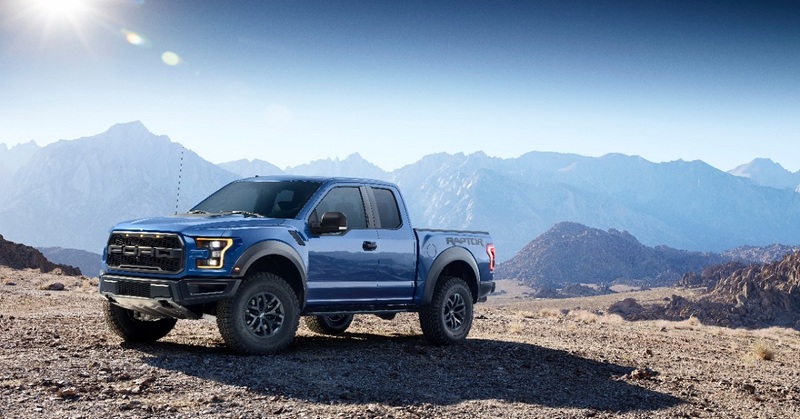 From the lights and grille to the swollen fenders and wheels, the Raptor is unlike other F-Series pickups. 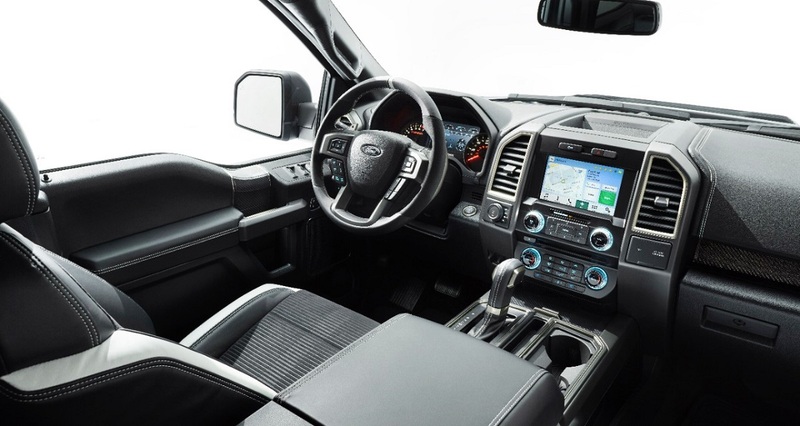 Ford says it has upgraded the Raptor's interior, and offers three different "color material" levels. Stitching is exposed on the seats, dashboard, and door panels, and the 2-tone seats feature leather bolsters with fabric inserts. Trim simulates carbon fiber, and the thick-rimmed steering wheel features leather and simulated suede trim as well as a centering line in the 12 o'clock position. Push-button engine starting is onboard, as well as a configurable digital information screen between the gauges, Sync 3 touch-screen infotainment system, premium sound system, and dual-zone automatic climate control. A 110V/400W power outlet is mounted on the dashboard and auxiliary switchgear is located on the cab's roof to operate aftermarket equipment such as lights or an air compressor. A high-output version of Ford's twin-turbocharged, 3.5-liter, EcoBoost V-6 engine is installed under the Raptor's hood. Horsepower and torque figures are not finalized but Ford says this engine is stronger than today's 6.2-liter V-8, which is rated to make 411 horsepower and 434 lb.-ft. torque. Additionally, the new engine is more fuel-efficient, and breathes through a new dual-exhaust system. A 10-speed automatic transmission is standard equipment, featuring paddle shifters for manual shift control. Power is fed to a new 4WD system with a torque-on-demand transfer case. A new Terrain Management system is standard, offering the driver a choice between Normal, Street, Weather, Mud and Sand, Baja, and Rock driving modes. A locking front differential is available. Larger Fox Racing Shox are part of an upgraded suspension with greater travel compared with the current model's 11.2 in. of front travel and 12 in. of rear travel. The Raptor rides on 17-in. wheels and tires designed specifically for off-road performance. Ford has confirmed that it will offer a comprehensive camera system to improve front and rear visibility. Raptor buyers can also expect Ford to supply its MyKey programmable vehicle features technology, a 911 Assist system that uses a paired smartphone to call emergency rescuers following an air bag deployment, and a blind-spot information system. Ford's next-generation infotainment system, called Sync 3, will be offered for the new Ford Raptor. Using the touch screen mounted on the dashboard, occupants can use Sync 3 to pair a smartphone to the system's Bluetooth connection, access mobile applications, operate the navigation system, and manage other vehicle settings.